A wallet and phone case in one, completely personalised accessory. 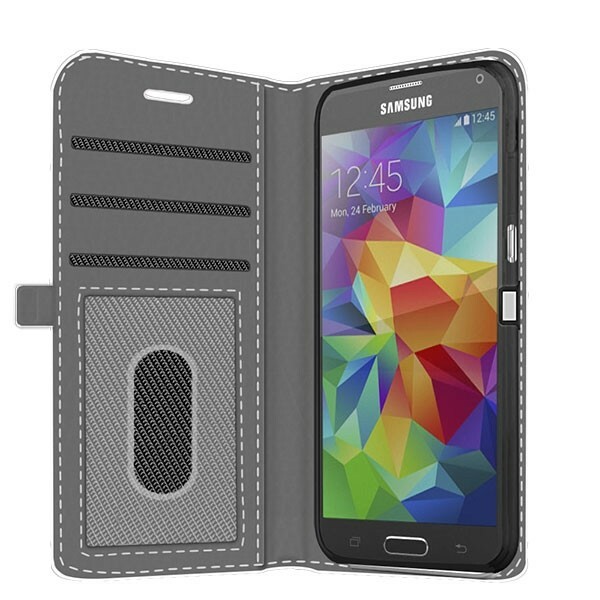 Protect your entire Samsung Galaxy S5 Mini with a wallet case. 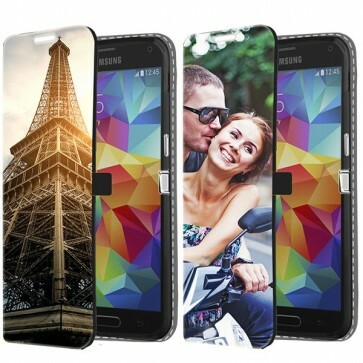 It's entirely up to you what photo you'd like to use to design your case. Keeping your cards, cash and phone safe. Your phone, cash and cards all in one place? That’s a reality when using one of our favorite cases. 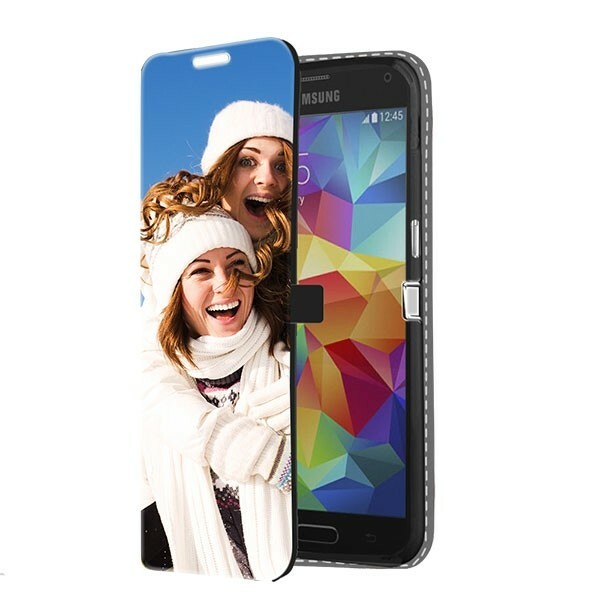 The Samsung Galaxy S5 mini wallet case is a unique combination of wallet and phone case. It protects your phone from all the nasty scratches and dents that seem to appear on a daily basis and keeps your cash, cards and ID close. The two things we use most in a day are our phone and wallet. Why not combine the two to make life a little easier? In addition to being a practical piece of equipment, it’s also a unique stylish accessory. Design the case however you please! What will my wallet case look like? Your wallet case will look exactly how you want it to look. But from the base up, let us explain. The case is made of a high quality black leather with a canvas front and leather under coat. The canvas front is ideal for printing. The case has 3 cards slots and 1 money slot on the inside. The case is kept closed using a magnet flap on the side of the case. Your phone will be protected from front to back and your design will naturally be printed on the canvas front of the case. You are free to design the case as you please. Use and of your favorite images and get started now! Because we want to give you as many design options as possible but still keep the process simple, we have developed a unique design module. In the design module you will be able to upload pictures, choose fonts, font colours and re-size, re-shape your design.